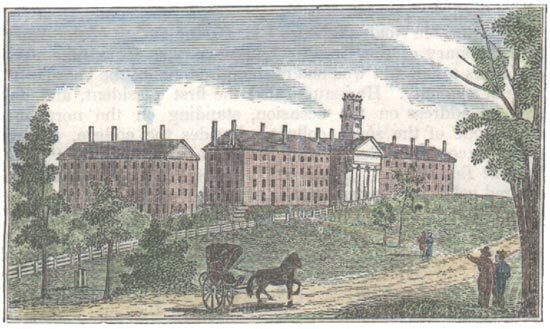 In 1828, a dormitory called North College was built on the present location of Williston, designed by George Guild. At that point, what was known as North College became Middle College. On January 19, 1857, "Old" North College burned down, and the name "North College" returned to its original owner next door (King, 310).